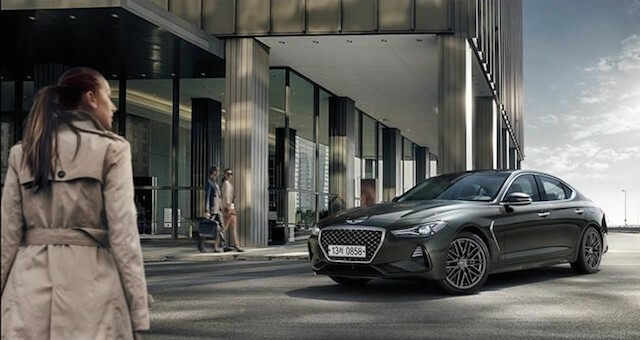 The Genesis G80 is available in three trims. It has three engine choices and an automatic transmission. 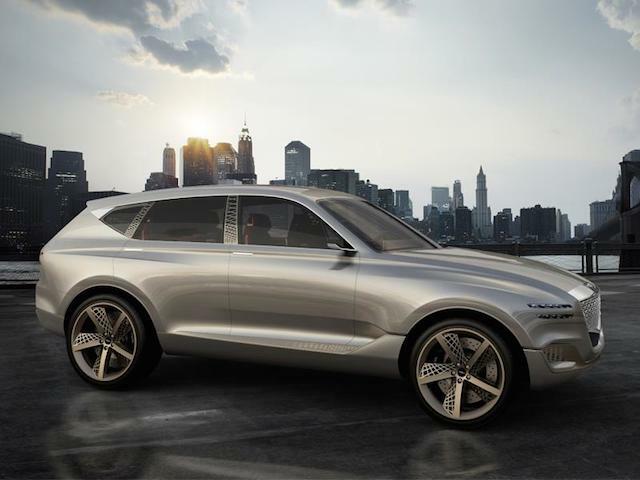 Hyundai launched the Genesis luxury brand launched in 2016 with plans to steadily expand it to six models. 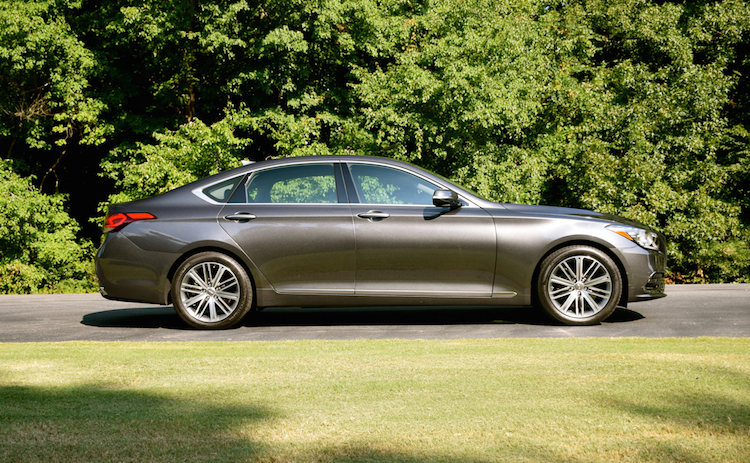 Carved out of Hyundai, this marque is comprised of G70 (compact), G80 (midsize) and G90 (full-size) sedans. Two SUVs will soon follow; a third model of a not-yet-determined body style should arrive in 2021. 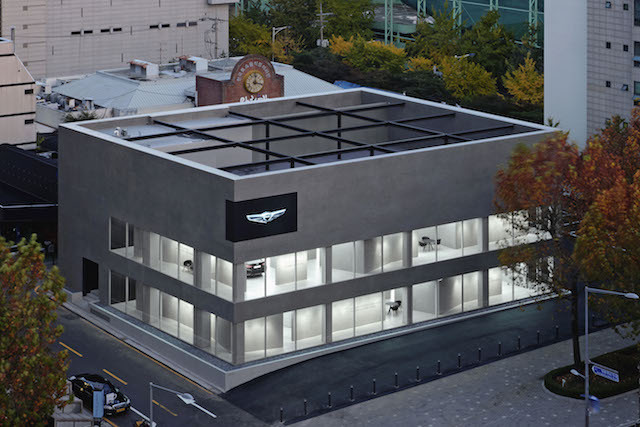 Genesis competes with a host of luxury brands, including Audi, BMW, Cadillac, Infiniti, Jaguar, Lexus and Mercedes-Benz. Its traditional rear-wheel-drive architecture gives it the right to take on the best models in the business. 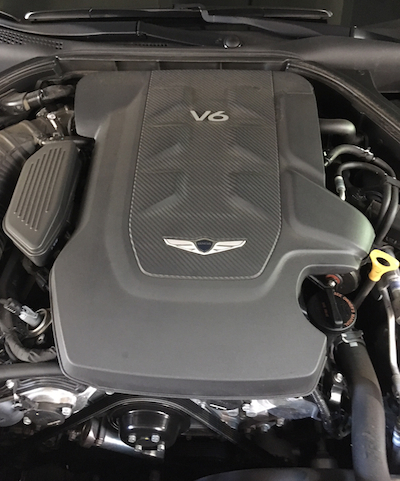 Recently, a Genesis G80 sedan was delivered for my inspection. It is a model I’m very familiar with, both under the Genesis moniker and when it was marketed as the Hyundai Genesis. I’ve always liked this sedan, which is stylish, generously appointed and attainable. 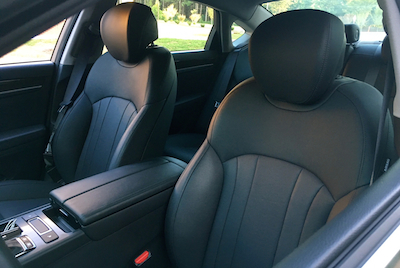 The 2018 Genesis G80 seats five and comes with standard rear-wheel drive and available all-wheel drive. This model has three engine choices — each one is paired with an eight-speed automatic transmission. Pay a visit to the Genesis G80 splash page and you’ll find 10 trim choices for your consideration. In reality, there are three trims, with each one corresponding to the engine choice. Thus, the standard prices are as follows: 3.8 ($41,750); 3.3T or Sport ($55,250); and 5.0 ($57,000). Add $975 for the destination charge and another $2,500 for all-wheel drive. The 3.8 is where the package options kick in. The Premium Package ($5,000) builds on the standard features, adding LED foglights, a power tilt-and-slide panoramic sunroof, a Lexicon 14-speaker surround sound audio, a 7-inch color LCD multi-information display, wireless device charging (front) Qi standard, front and rear parking sensors, ventilated front seats, heated rear seats, a power rear sunshade, and manual rear side window shades. You can also upgrade to the Ultimate Package ($10,100), which builds on the standard trim and Premium Package. Here, you’ll find shift-by-wire, full LED headlights with dynamic bending light (DBL) technology, premium leather seating surfaces, a power driver seat cushion extender and side bolster, genuine matte-finish wood trim and aluminum trim, a heads-up display, a multi-view camera system, a 9.2” HD touchscreen, Lexicon 17-speaker surround sound audio, a power trunk lid, and a dual mode front vent control and CO2 Sensor. Credit Genesis with giving the G80 three engine choices and very good ones at that. The standard engine displaces 3.8 liters, generating 311 horsepower and 293 pound-feet of torque. It is also the most efficient one too, making 19 mpg in the city and 27 mpg on the highway. This one runs on regular gasoline. A twin-turbo 3.3-liter V6 with 365 horsepower and 376 pound-feet of torque is the second engine choice. Models equipped with this engine make 17 mpg in the city and 25 mpg on the highway and take premium gasoline. The third engine choice is the lone V8, which displaces 5.0 liters and has an output of 420 horsepower and 383 pound-feet of torque. The EPA-estimated fuel economy comes in at 16 mpg in the city and 24 mpg on the highway. You’ll fuel with premium gasoline too. 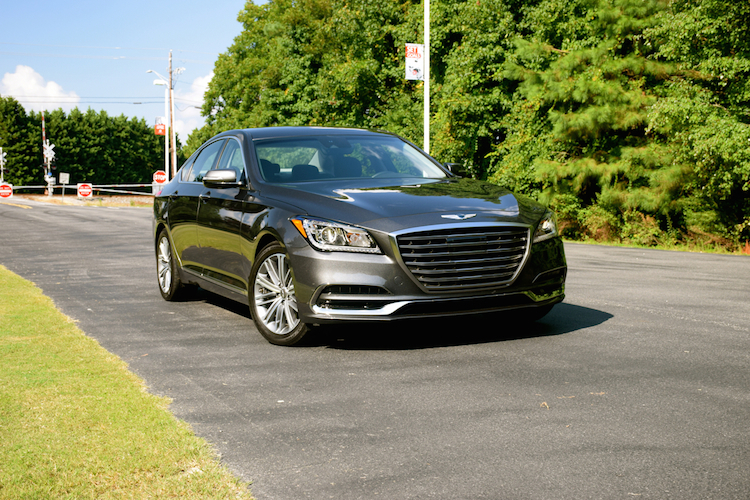 Genesis is big on value and that’s evident by just how well this model is equipped. We’ll look at the three main trims and what you get with each one. The G80’s roster of standard equipment is strong, beginning with the exterior. This model comes with Bi-Xenon HID headlights with LED daytime running lights (DRL), high beam assist, power-folding and heated dual side mirrors with turn-signal indicators, 18-inch alloy wheels and a hands-free open trunk. Inside, the G80 has push-button start to go with keyless entry. This model also comes with a leather-wrapped and power-controlled tilt-and-telescopic steering column, leather seats, 12-way power front seats with dual automatic climate control, and an automatic-dimming rearview mirror. A drive mode select allows you to choose between normal, eco and sport modes. Among tech features, the 2018 G80 includes a 7-speaker audio system with satellite radio and a CD player. 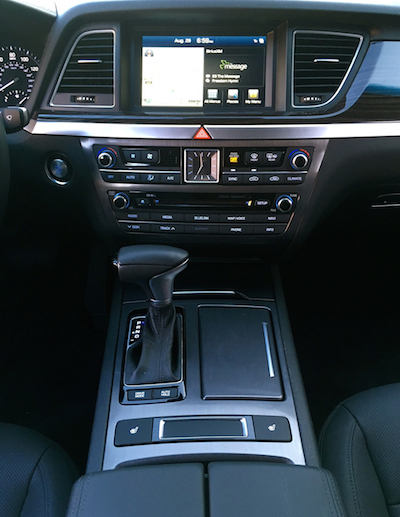 Genesis also includes an 8-inch color touch-screen with navigation, Android Auto and Apple CarPlay smartphone compatibility, Bluetooth and two USB ports. Genesis also provides three years complimentary connected car services and three years SiriusXM Travel Link services. Among safety tech you’ll find a rearview camera with parking guidelines, lane keep assist, lane departure warning, blind spot detection, rear cross-traffic alert and driver attention alert. 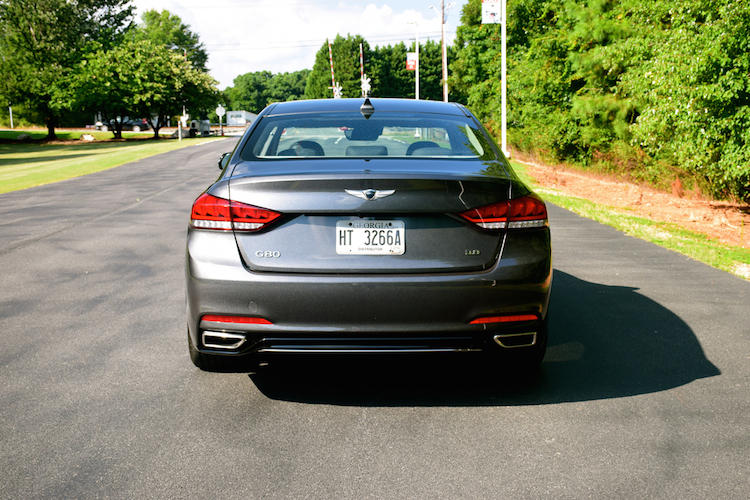 Genesis also includes automatic emergency braking with pedestrian detection. Besides the twin-turbo V6 engine, the Genesis G80 Sport adds such features as a panoramic power glass tilt and slide sunroof and a vehicle anti-theft system with engine mobilizer. Inside, this trim has a power rear sunshade. All other tech and safety features remain the same. The V8 engine is the most significant difference at this trim level. The other one is the addition of front fog lights. My test Genesis G80 3.8 with rear-wheel drive came with zero options. That doesn’t mean it wasn’t well equipped as noted above. It just means you can find a midsize luxury sedan in the low-$40,000 range and that alone is good news. 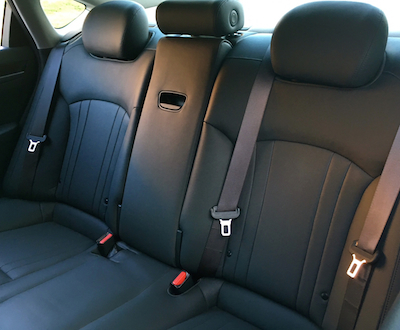 What you have with the standard model is a quiet, comfortable riding sedan. Step-off acceleration is adequate and passing power is satisfactory. The transmission is properly matched with this engine, shifting through cogs quickly with no hunting detected. The steering is light to the touch with limited feedback. On twisty roads and when pulling out of corners, its lack of handling precision becomes evident. Not in a disturbing way, but as a matter of fact. And that fact is a sedan like the BMW 5 Series is still difficult to beat. Hours of backcountry road traveling gave me a good feel for what the Genesis G80 is all about. It is not a corner carver, but it acquits itself everywhere else and that’s what customers expect in this segment. 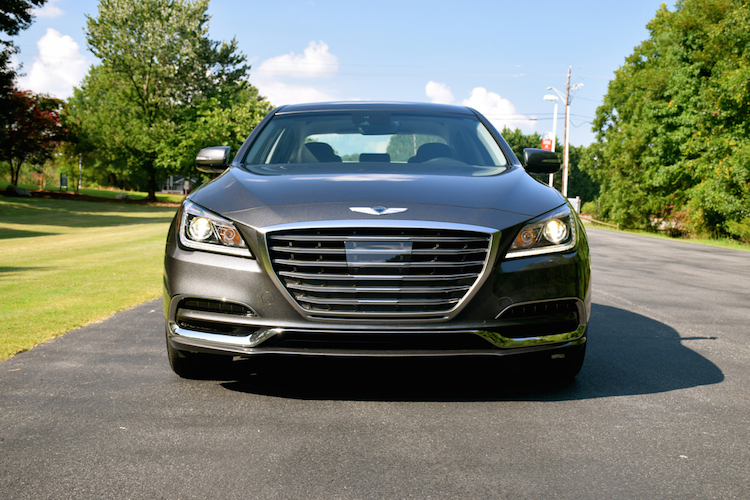 In the G80, Genesis found what most customers want and delivers it. The 2018 Genesis G80 delivers solid value for the segment. A number of competing models start around $50,000 and usually offer a turbocharged four-cylinder engine as the base engine. The Audi A6, Cadillac CTS and Lexus GS are three such models that come to mind. Notably, when comparing this model to the Lexus, there is a near $5,000 price difference between Genesis and Lexus and even then you’re comparing a V6 engine to a small turbo four. Choose the GS 350 F Sport and you’ll pay $52,260 or just over $10,000 more than the G80 for a V6 that also makes 311 horsepower. Sure, the Lexus has better handling, but in all other areas, these two sedans are nearly equal. As for the model of your choosing, adding the Ultimate Package gives you a well-equipped sedan, one that is priced like the Lexus, but with more features. Here, you get the most bang for the buck, although if enhanced performance is important to you, then you’ll look at the two other engine choices instead. 2018 Genesis G80 photos copyright Auto Trends Magazine. All rights reserved.